Ease conditions for landlords or rents will keep rising, an investor advocate is warning as new data reveals major rent increases nationwide. The NZ Property Investors Federation has just released rental data which shows rental prices in the first three months of the year have increased by 6.1% year-on-year around New Zealand. Drawn from government tenancy bond, the data compares the three months ended March to the same period the year before. The 6.1% increase is a higher price rise than seen in the last two years ending March when rental prices rose by 3.4% and 3% respectively and leaves the average weekly rent at $433. NZPIF executive officer Andrew King says there have been so many cost and regulatory increases over the last few years that it isn't a surprise that rental prices are increasing as they are. Ongoing high immigration combined with the housing supply shortage means the imbalance between supply and demand is set to continue, he says. “Prices are still strong too so there is nothing pointing towards rents going down and yet we already seeing more overcrowding in lower decile areas, like South Auckland. King says it needs to be easier – not harder – for landlords to provide rental properties so that people can do so at a time when rental accommodation is desperately needed. The data released by the NZPIF also shows that Hutt Valley rents increased by the most: they were up by 17.1% to $413 per week. It was followed by Porirua, which saw its rents go up by 11.6% to $407 per week, and Nelson, which saw rent price rises of 9.2% to $382 per week. But Wellington Central rents increased by 6.8% which indicates that, overall, the Wellington region saw the highest rental price increases. In Auckland rental increases ranged from 3.4% in Papakura (which left the area’s average weekly rent at $471) to 5.2% on the North Shore (which left the area’s average weekly rent at $578). Meanwhile, the latest Crockers Property Investment Index (CPII) survey also speculates that regulatory changes which compel higher rental property standards could force rents up over the next 18-24 months. 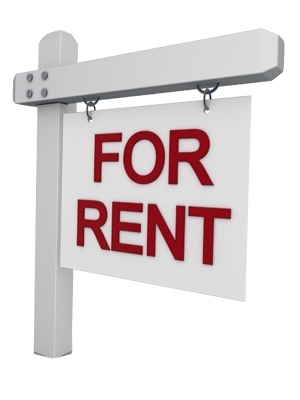 Some landlords are likely to try and recover the costs of the necessary expenditure by increasing rents, it says. While 10% of respondents to the CPII survey cited this factor as being the biggest current influence on rents in Auckland, more respondents picked other factors to blame. According to 28%, an insufficient rate of new house building was at fault while 20% cited LVRs and affordability issues and 17% picked “fewer rental properties due to investors exiting the market”.